AR Racking and Spade Equipements solution in new Leisure'n Pleasure warehouse. AR Racking has installed the new Leisure'n Pleasure warehouse in Lille. With this installation the furniture and equipment company expands its logistics capacity. The project was carried out in collaboration with Spade Equipements, a company specialized in the design of storage spaces that has joined the AR distribution network, establishing an alliance that has materialized in this first joint project. The working team of AR and Spade technicians studied the logistical needs of Leisure'n Pleasure in order to establish a solution adapted to the spaces and conditions available. This solution consists of a Drive In storage system and a conventional pallet racking system, which together will store a total of 3.008 pallets in a building of 2.800m2. At Leisure'n Pleasure, they emphasize the importance of the new warehouse for their business: "For a company like ours, with a high quality standard, it is essential to have a warehouse that meets expectations and that is why we went to a specialized company such as Spade Equipements that has been able to respond to our expectations and has carried out the installation within the timeframe of two weeks” said Mr. Christophe Loquet, logistics director. 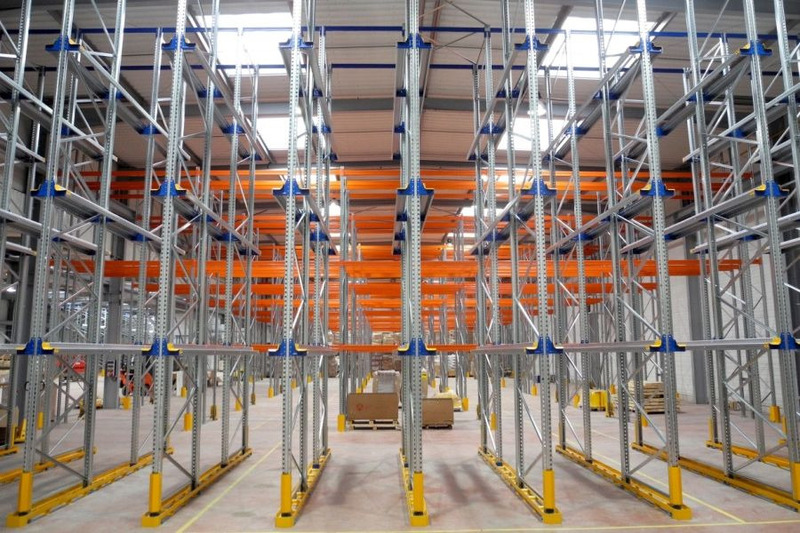 The combination of the two AR Racking stocking systems maximizes space utilization and optimizes storage space. The high-density storage system (Drive In) is ideal for storing a large amount of homogeneous products, minimizing corridors. The conventional pallet racking offers, on the other hand, great versatility as it adapts to all types of loading units and is very easy to assemble and dismantle. The installation incorporated 4 blocks of compact racks (Drive In), with a capacity for 1,728 pallets and a conventional racking area (rack with pallets) with a capacity for 1,280 pallets. As a result of the coordination of both technical and commercial teams, the project ran smoothly and efficiently in all its phases: “the collaboration of two specialised companies with a strong customer oriented philosophy, allowed us to provide the market with accurate and innovative logistics solutions" says Eric Vercambre, chairman of Spade Equipements. Spade Equipements, was stablished in 2001 and has carried out numerous storage facility projects in specialized distribution as well as in the automotive and industrial sector. AR Racking is part of the Arania Group, an industrial group of companies which, for more than 75 years, have had extensive experience and large-scale, multi-sectoral activity in the transformation of steel.